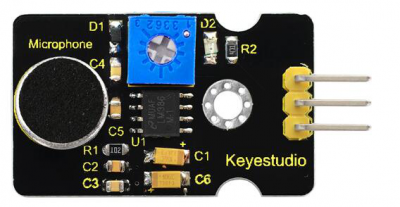 The keyestudio microphone sensor is typically used in detecting the loudness in ambient environment. 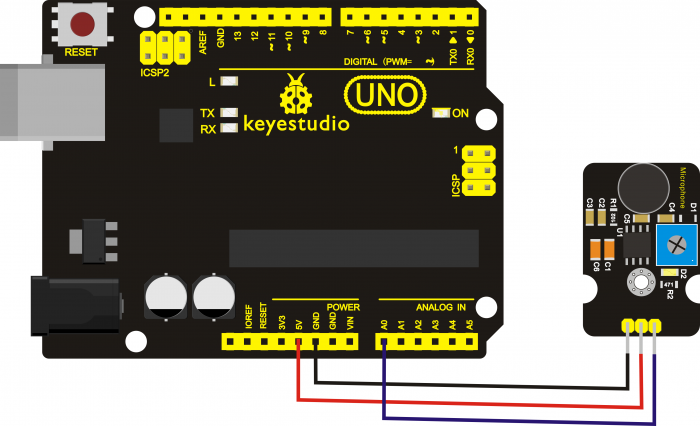 The Arduino can collect its output signal by analog input interface. The S pin is analog output, that is voltage signal real-time output of microphone. The sensor comes with a potentiometer, so that you can turn it to adjust the signal gain. It also has a fixed hole so that you can mount the sensor on any other devices. 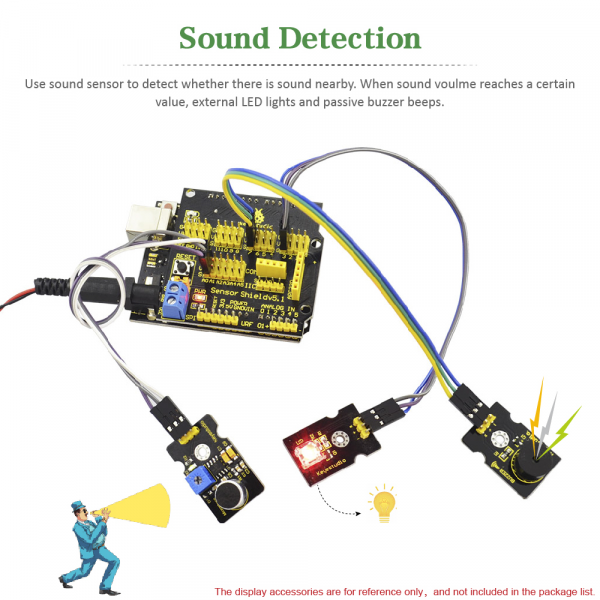 You can use it to make some interactive works, such as a voice operated switch. 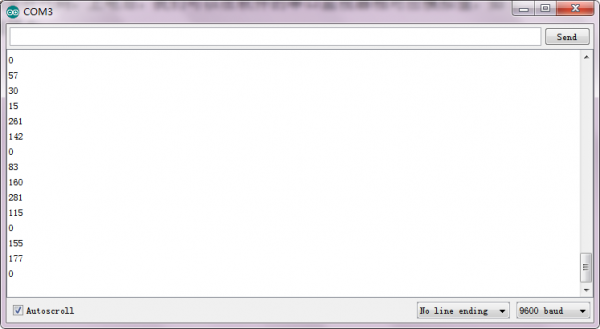 Connect it up and upload the code successfully, then open the serial monitor on the right upper corner of Arduino IDE. The analog value will pop up on the monitor window. The greater the sound, the greater the analog value is. This page was last edited on 19 April 2019, at 08:22.